In the early- to mid-1970s Bobbs-Merrill, as part of its Black Bat Mystery line, published four early suspense novels written by Jack M. Bickham. 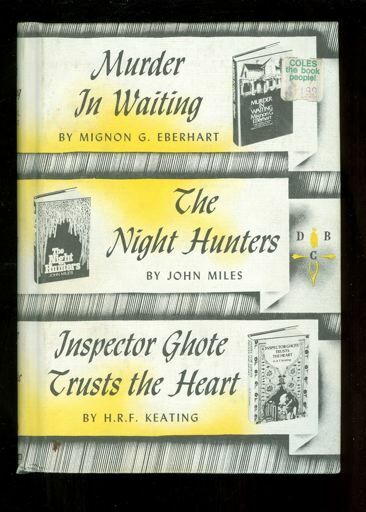 The four titles were published as by “John Miles”, a pseudonym Mr Bickham used primarily for his early crime and suspense novels, and later for his whodunits. The publication of the Black Bat Mystery titles was a landmark in his career. It represented the change of Bickham’s writing focus from westerns to mystery and suspense. The John Miles nom de plume was first used by Bickham on his nifty little 1961 crime novel Dally with a Deadly Doll (Ace, D-489). Over the next decade he used the Miles brand sparingly, choosing instead to write westerns under his own name and as by “Jeff Clinton”. The titles published with the Clinton moniker featured a brawling red-headed series character named Wildcat O’Shea. He later published a handful of non series westerns under the pseudonym, and a single science fiction novel titled Kane’s Odyssey (1976). In 1973 the Miles brand was dusted off and used for a slim hardcover titled The Night Hunters. It was the first, and best, of four Bickham titles to be published by Bobbs-Merrill over the next two years. The Black Bat titles fit squarely in the suspense mold—not necessarily traditional mystery, but with a crime aspect, which tended towards amateur criminals. 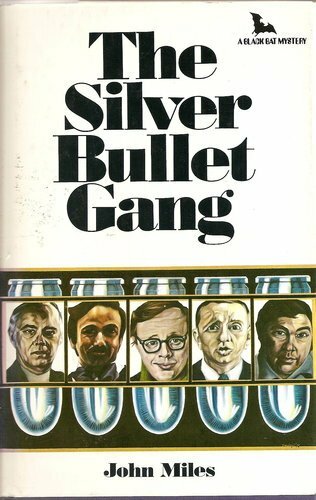 Two are heist novels—The Silver Bullet Gang (1974) and Operation Nightfall (1975)—and another, an entertaining, but standard extortionist tale titled The Blackmailer (1974). While all four titles are entertaining, The Night Hunters is a masterpiece. It is a rural suspense story built around a young woman named Ruth Baxter. Ms Baxter stops in the small town of Noble, Oklahoma to research family genealogy for her uncle, but the place is less than friendly. A local cop threatens her off, and the townspeople act strangely hostile towards her. The plot is built perfectly to maintain the slow build of tension, and the mystery is strong. It has the teeth to have been a bestseller in 1973 when it was released, but for whatever reason it didn’t get the push from the publisher it needed. It’s a shame the titles are all out-of-print, and to my knowledge have been for decades, because each has held up well over the passing years—The Night Hunters is the strongest and The Blackmailer is the weakest. Jack Bickham’s Black Bat Mystery titles would make a terrific addition to a small publisher’s catalog of classic e-books and maybe even POD. 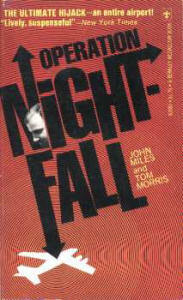 Operation Nightfall (1975) - Read the Gravetapping review.